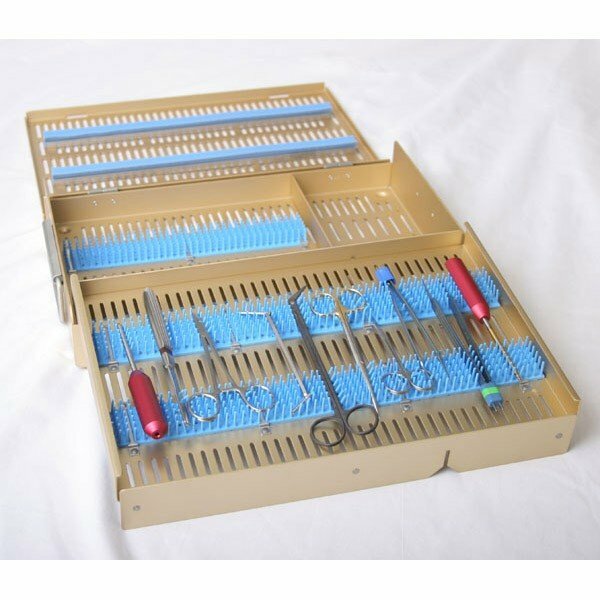 Microsurgical Case Instrument Sterilization Tray - two levels. With pin mat, retainers, long tray, and half-height accessory area. External size: 10.5" x 15" x 2.5"